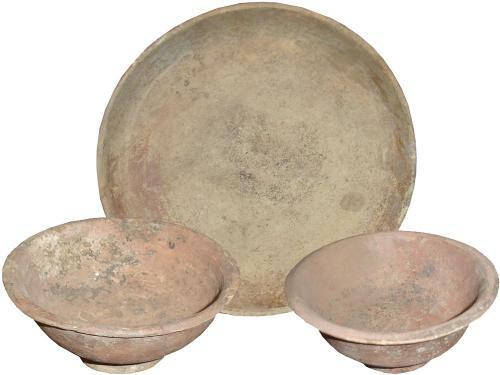 A Set of Two Etruscan Terracotta Bowls and a Plate - C. Mariani Antiques, Restoration & Custom, San Francisco, CA. (Plate) Height: 1 1/2"; Diameter: 7 1/2" (Lg. Bowl) Height: 2 1/2"; Diameter: 5 1/4" (Sm. Bowl) Height: 2 1/4"; Diameter: 4 3/4"